This has become a Thanksgiving staple. 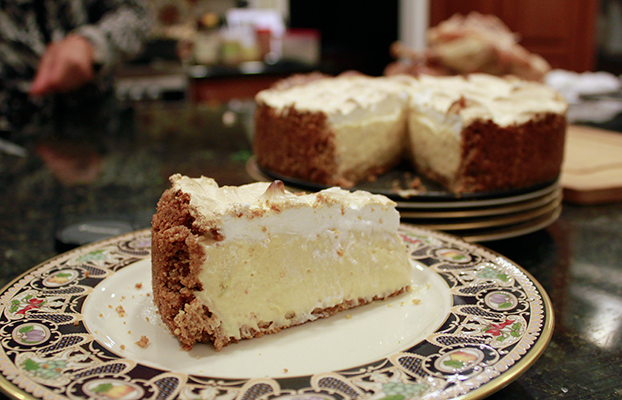 And with my various lemon trees now starting to produce lemons in ample quantities, the pressure is on to use them up in cooking - like this here lemon meringue cheesecake (Peter). 1. Crush biscuits (use food processor or rolling pin and plastic bag). 2. Melt butter in microwave and add to crushed biscuits. 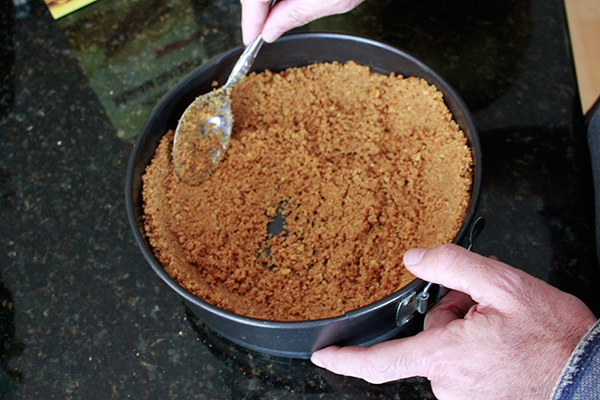 Mix then press into springform pan using back of steel spoon - bringing crumb mixture 3/4 up sides of pan. 2. Add condensed milk, lemon rind, lemon juice, and egg yolks and continue beating until smooth. 3. The challenge always is to get a decent "set" in the cheesecake - which can only really be achieved by using very green lemons (~ higher pectin) and some luck. To avoid disappointment (and because we use Meyer lemons) we add gelatin: 1 or 2 sachets dissolved in a couple of tablespoons of boiling water - or pectin would also work. So, add the gelatin and pour in to base. 4. 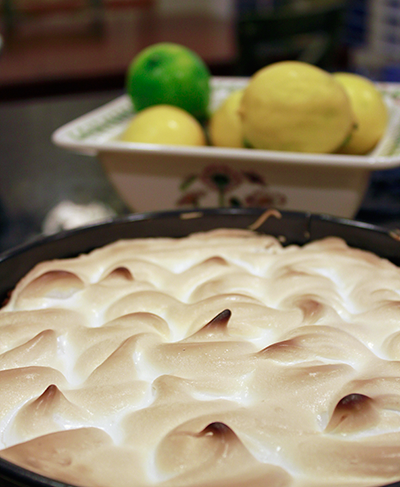 Whip egg whites until soft peaks form then gradually fold in half the sugar. Beat until stiff then fold in remainder of sugar. Spread evenly over filling, making such patterns as appeal to you. 5. Bake in hot oven (around 450 F or 230 C) for 10 minutes. 6. Remove from oven - let cool and ideally refrigerate for a few hours then serve and enjoy!